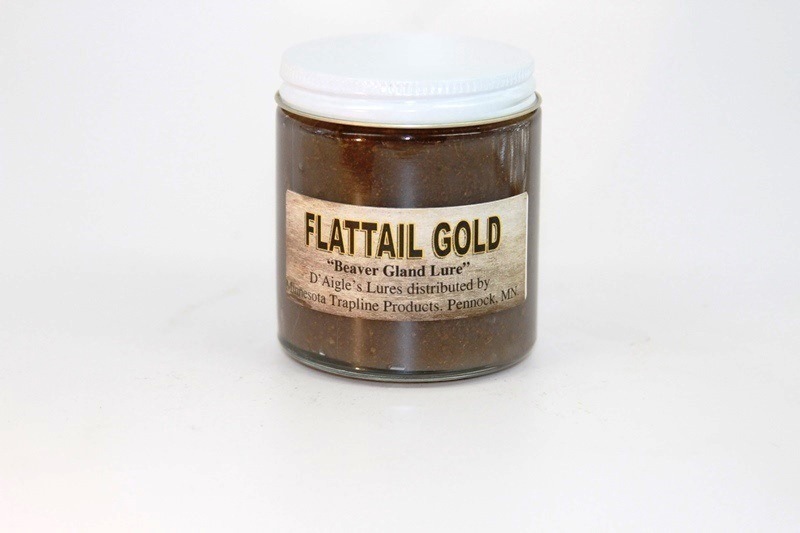 D'Aigles Flattail Gold Beaver Lure (flattailgold15) Northern Sport Co.
An extremely effective castor based beaver lure made by Minnesota's Dave D'Aigle that laughs at Mother Nature. This lure is totally waterproof and will work after heavy rains or even after being submerged by rising water levels. We have been told by many trappers that their sets were submerged for a few days yet after the water level subsided they caught beaver without re-luring once the lure reemerged. Comes in 4 oz. wide mouth glass jar.